Who doesn’t appreciate how important it is to master the English language today? Whatever your profession, speaking English is no longer an advantage, it has quite simply become an obligation. Our aim is to give your child that chance from a very young age. We welcome children from as young as 2 years old up to the age of 6, when they will be more that ready to start primary school. Once your child has mastered the English language, he or she will be prepared for a demanding but exciting future. Starting a new language before the age of 6 is the best way to learn quickly and effectively. 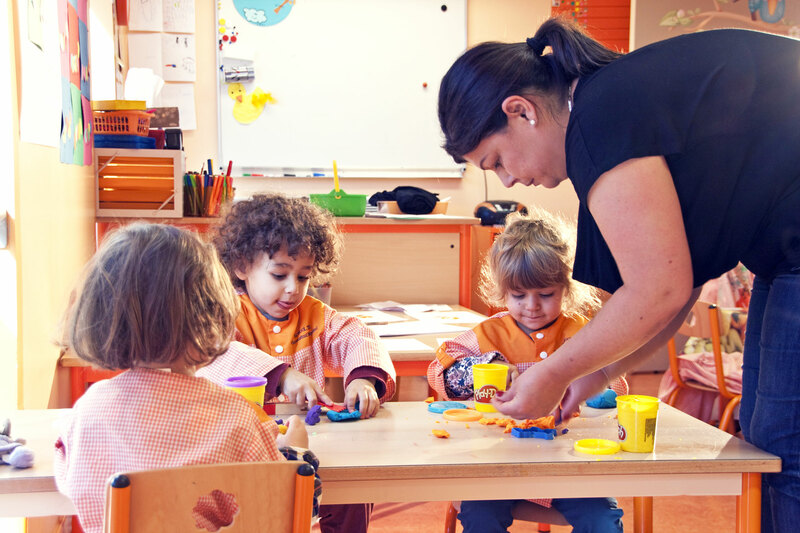 We follow the National Curriculum in France through language lessons, writing practice, logic games and maths, but also gym, painting and sticking and learning about the world around us, helping and encouraging each child to grow and develop. We also offer many complementary activities in our programme. Our friendly, fun atmosphere is coupled with the knowledge that rules exist for safety and well-being in order to respect each other. 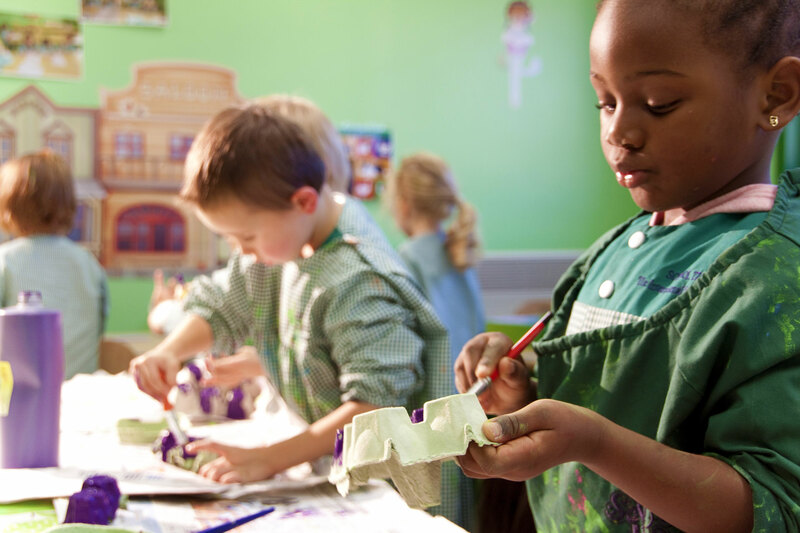 Children at School Time learn to work together as a team, sharing ideas and being creative. We never forget that language is not just a string of words, it is also essential to understand the different cultures and customs surrounding it. Our pupils will learn about different ways of life and to be able to compare with their own culture; a rich way of opening their minds. This is the youngest class, full of new discoveries and helped along by two dedicated teachers whose main concern is the children’s individual comfort. There is no obligation to be out of nappies/diapers, each child develops at his or her own pace. This is the first nursery level class where discovery rhymes with adventure! The children are gently encouraged towards being more independent. 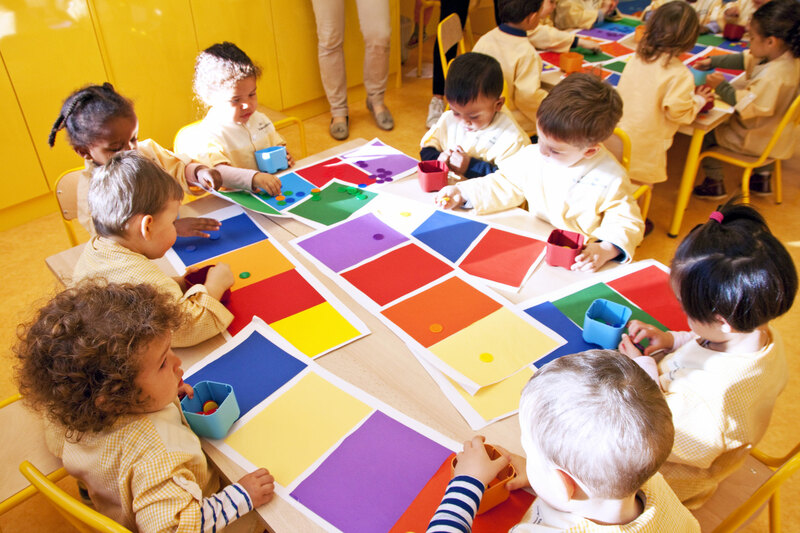 This class is a turning point, the children no longer need their nap, they begin many new and exciting activities! Special attention is paid to logic games, being creative and the first steps of writing. This is the last nursery class before primary school. The children continue developing their vocabulary, they enjoy experiments and finding out about how things work. Their curiosity has no limits! Reading in French will begin by learning syllables and we start additions in mathematics. At the end of this year the children will be more than ready for “big school”!